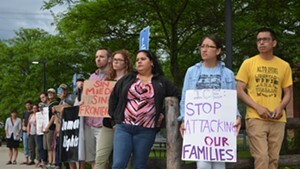 Federal immigration authorities used a civilian informant to infiltrate meetings of Migrant Justice as part of a larger, sustained surveillance campaign that targeted members for their activism, the group alleges in a lawsuit filed Wednesday in U.S. District Court in Burlington. 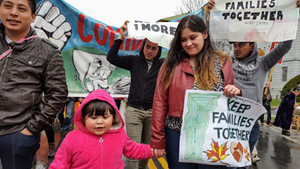 The Vermont Department of Motor Vehicles has been helping Immigration and Customs Enforcement and the Department of Homeland Security to engage in an illegal effort to “harass, arrest and detain” farmworker activists, Migrant Justice said in a statement. Its suit names ICE, DHS and the DMV as defendants. 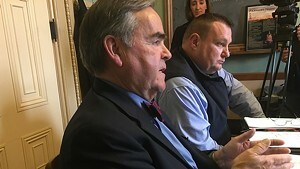 The plaintiffs are represented by a coalition of activists and legal heavyweights: the ACLU of Vermont, the Center for Constitutional Rights, the National Center for Law and Economic Justice, the National Immigration Law Center, and Gibson, Dunn & Crutcher, a large law firm headquartered in Los Angeles. About 40 Migrant Justice members have been arrested in the last two years, and the majority of them have been deported, said Will Lambek, a Migrant Justice spokesperson. At least nine of those arrested were targeted because of their activism, Lambek said. 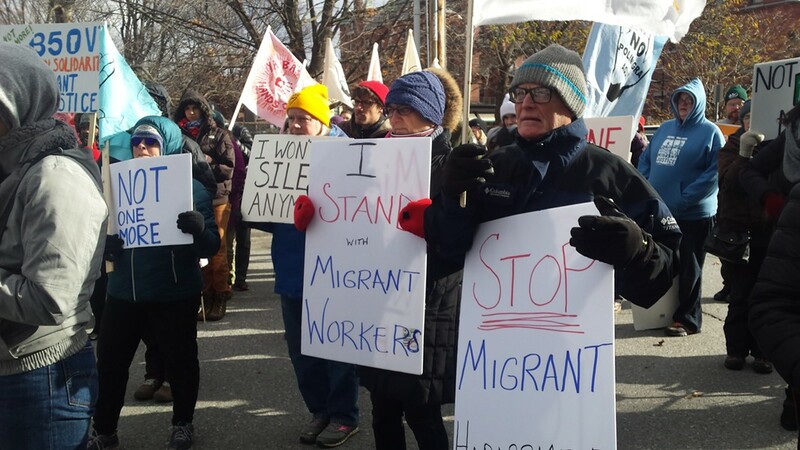 The group, founded in 2009, works to improve living and working conditions for the roughly 1,500 immigrant farmworkers in Vermont, who are often isolated and lack traditional housing and employment protections, its suit says. 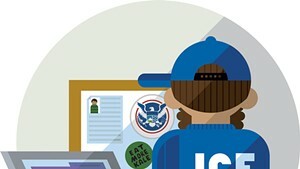 But more recently, it’s been distracted from its mission in order to counter actions from ICE. And at demonstrations and other gatherings, its crowds are thinning. 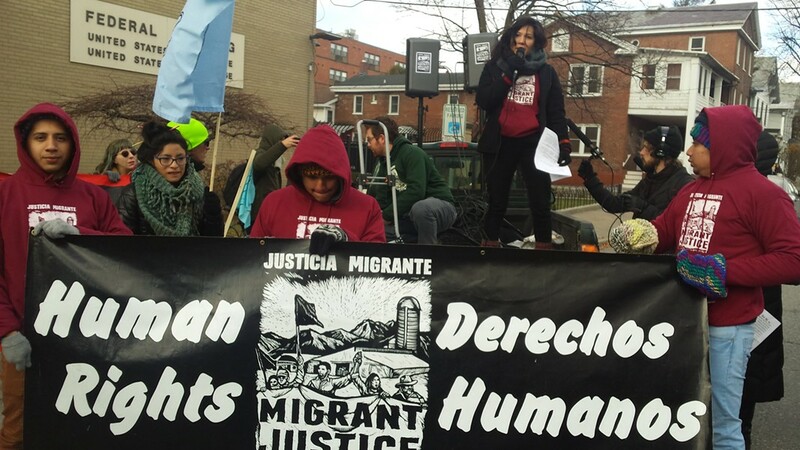 The lawsuit, filed on behalf of Migrant Justice, also lists several members as plaintiffs: Jose Enrique Balcazar Sanchez, Zully Palacios Rodriguez, Victor Diaz and Miguel Alcudia Gamas. It alleges that authorities violated members’ rights to freedom of speech and freedom of assembly. The plaintiffs all face immigration charges. Three of them are free on bail, and one is out on personal recognizance. 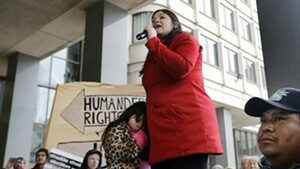 Migrant Justice alleges that what’s happening is part of a national effort against immigrant-rights advocates. The suit lists high-profile activists from around the country who have been arrested and alleges the actions have been to stifle political activism and free speech. 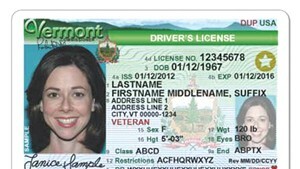 Documents obtained through public records requests show that the DMV forwarded the plaintiffs’ personal information to ICE when they applied for the state’s driver’s privilege card, the group asserts. 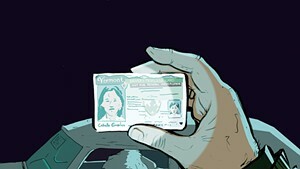 In April 2016, a DMV supervisor complied with an ICE deportation officer’s request for Diaz’s photograph and his application for a driver’s privilege card, the suit alleges. Two days later, ICE agents arrested Diaz in a parking lot in Stowe. Immigration agents also attempted to sow discord and mistrust among Migrant Justice members, the suit alleges. When Arturo Ruiz Rodriguez was arrested in February 2017, an ICE officer told him that he had received his name and address from Lambek. ICE also enlisted at least one civilian informant to infiltrate Migrant Justice, which led to the arrests of two of the plaintiffs, Palacios Rodriguez and Balcazar Sanchez. Neither had a criminal record, and they did not qualify as DHS enforcement priorities, the suit alleges. 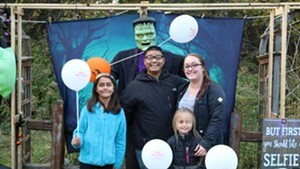 Before her arrest, Palacios Rodriguez had received an electronic notification that an unauthorized individual had tried to access her email account. 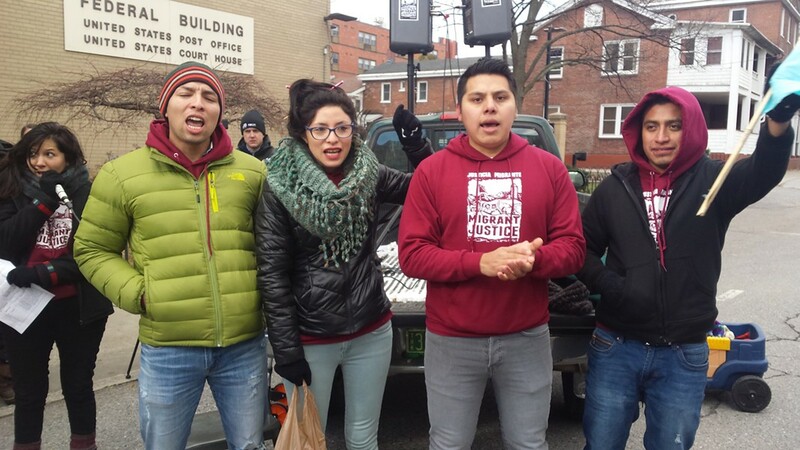 Migrant Justice, which has organized demonstrations both in Burlington and at a federal immigration court in Boston on behalf of its members in recent years, did not file the suit quietly. 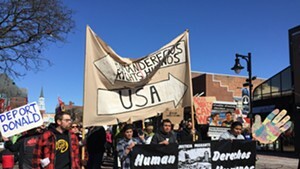 Roughly 150 members and supporters gathered at noon outside Migrant Justice’s office in Burlington before marching to the federal courthouse at Elmwood Avenue and Pearl Street to file the documents. 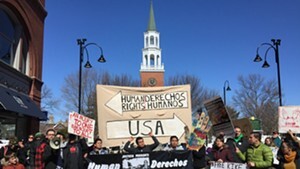 Diaz, Palacios Rodriguez and Balcazar Sanchez made speeches in front of a raucous crowd, as did Lia Ernst from the ACLU of Vermont and Angelo Guisado from the Center for Constitutional Rights. 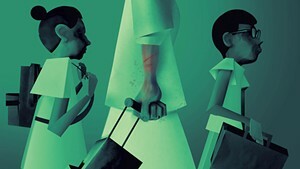 Diaz spoke to Seven Days in Spanish, and Lambek interpreted. On one hand, he said, he felt nervous that after filing this suit, ICE could retaliate. But, he added, he knows the plaintiffs have a lot of support — and lawyers, too. 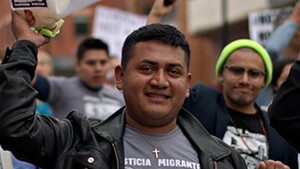 Diaz, 27, moved to Vermont from Mexico in November 2010 and has been an active member of Migrant Justice since 2013. 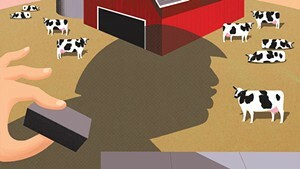 He participated in meetings and negotiations with Ben & Jerry’s over the Milk with Dignity program. The plaintiffs ask the court to declare that the defendants’ actions violate their First Amendment and equal protection rights. They seek a ruling to bar the defendants from “surveilling, infiltrating, spreading disinformation, arresting and detaining Migrant Justice members” in retaliation for speaking out. It asks the court to prohibit DMV employees from sharing information with federal immigration enforcement agencies. And it seeks unspecified damages, as well as legal costs.